The goal of the project is to strengthen grassroots capacities and build tolerant, inclusive communities in the Western Cape. We have capacitated our youth Peer educators in order for them to conduct community dialogues in targeted communities affected by crime, xenophobia, youth unemployment by bringing together key stakeholders (traditional leaders, local councilors, religious based leaders, police, community police forums, youth groups, women groups and refugees and migrants). The underpinning philosophy behind this intervention is that the answer lies within the communities. In Nyanga one of the oldest townships in Cape Town the community dialogue was demanding a second police station to combat the crime in this area. In Delft the support received from the police commander and local councilor to hold a public dialogue with the community is an attestation of how far AU has achieved into facilitating dialogues that lead to human rights conscious citizens and in promoting increased participation. In Europe – an informal settlement near Gugulethu, with the support of the community leaders we have started a campaign on clean water and decent sanitation. These examples illustrate how it is fundamental for the stakeholders to own the intervention initiated by the youth and more importantly the sustainability of such interventions. 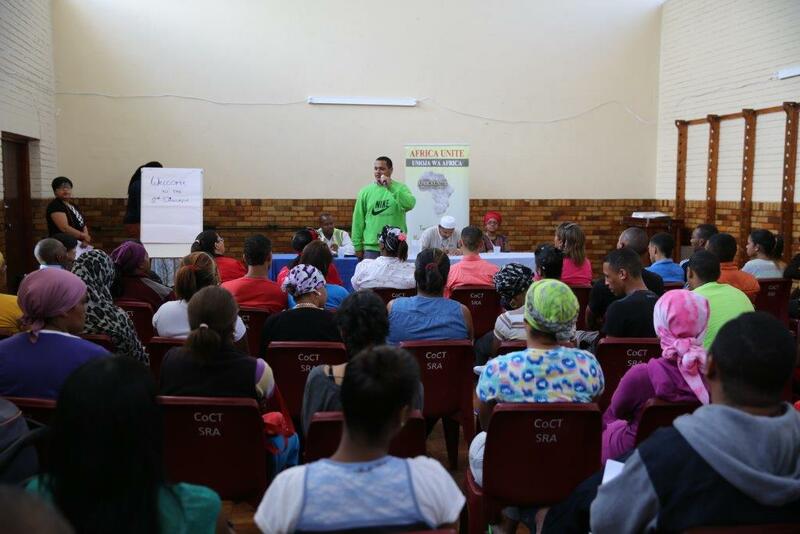 In Hanover Park – This is one of the communities highly affected by youth unemployment, crime and gang violence in the Cape Flats. We have brought women community leaders, church leaders, Schools Police and local NGO’s in dialogue to find amicable solutions to these challenges. A Hanover Park women’s movement was formed with the slogan ‘Your Child is My Child’ as the women identified children as a common bond that can bring them together, because even these gangs and drug dealers have children also. They intend to extend this movement to all areas of Hanover Park by recruiting more women to join the group.